The Secretary General of Hezbollah, Sayyed Hassan Nasrallah, said that there is currently a special type of oppression against the Bahraini people. Sayyed Nasrallah also said that those who are banking on the Bahraini people tiring in their calls for their basic rights, are actually banking on a mirage. It was in February 2011 when thousands of Bahrainis most of them from the country's Shia majority took to the streets to demand political reform. The Bahraini government reacted to the protests with a mixture of violent repression, and offers of limited concessions. More than seven months later this time in New York City and on the sidelines of the UN General Assembly, Bahrainis and their supporters gather to call on the government of Hamed Bin Khalifa to end its brutal oppression against its people. While the gathering is a humble one, the demonstrator's voices are loud and clear, they're calling for a free Bahrain for all. The demonstrators stand united in front of the Bahraini mission where the Kingdom's ambassador to the UN is rumored to be having lunch with King Khalifa, the ruler of Bahrain. While the ill treatment of the Shia population has made headlines around the world since protests erupted, for many demonstrators here the rally is about upholding core human values, regardless of religious affiliations. Hussain Abdullah, Director of the advocacy group Americans for Democracy & Human Rights in Bahrain says the majority of the population are living under state oppression and the government needs to know that the voices of reason will not remain silent. With posters and banners in hand and the Bahraini flag raised in the air the demonstrators hope gatherings like these big or small will garner the attention and support of the international community. Christianity Under Question! 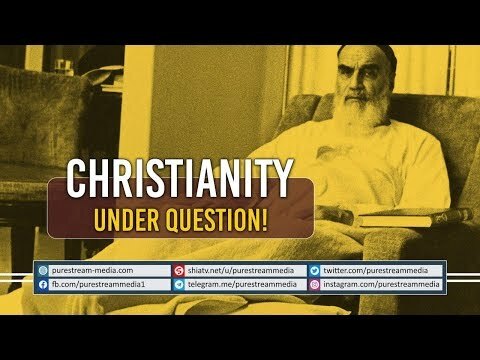 | Imam Khomeini (R) The impression today\'s Christianity has painted in people\'s mind is that Christianity is all about LOVE, AFFECTION, and CARE etc. Yet, while we see millions of people subjected to oppression and cruelty, we find Christian authorities and scholars to be quiet! Is it not ironic? Where is that love and passion for the needy and the oppressed? Where is your support for the dying kids of Yemen; where is your support for the innocent Palestinians; where is your support for all the oppressed people of the world who are waiting for your love, affection, and care! What would Jesus do to stop the oppression?! #Christmas #Xmas #Christianity #Christians #Pope #Jesus #QUESTION! 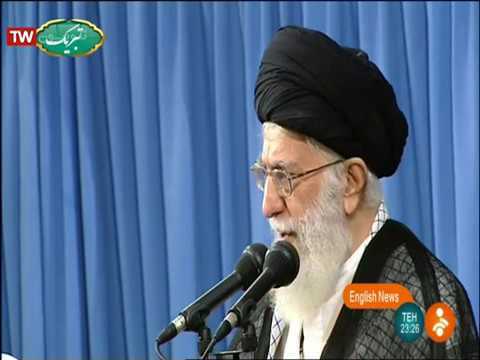 A very beautiful presentaion from baabeilm.com depicting root causes of oppression of Imam Ali and all of our Imams. The Story of Stuff will take you on a provocative tour of the consumer-driven culture in the US and the increasing consumerism and materialism in the rest of the world - from resource extraction to iPod incineration - exposing the real costs of our use-it and lose-it approach to stuff. -- ISLAM is against materialism because it results in social injustice and oppression. But also because Islam wants to nurture the inner spirituality and other potential noble qualities in human beings - and materialism - that is the slavery of this world - takes them in exactly the opposite direction. Often non-religious movements choose to resist materialism because of its consequences on society - that is they resist materialism for instrumental - means to ends - reasons. Islam however places importance on simplicity and modesty because they are valuable in themselves for human perfection. Hence even if the world becomes full of resources and everyone has more than what he or she needs Islam would still stress on simplicity and modesty in the lifestyles and pursuits of its followers. With its ideals of human perfection and emphasis on the eternal life in the hereafter Islam provides a powerful rational and emotional stimulus for individuals to abstain from materialism and channel their self-interest into attaining lofty human ideals and qualities. For more on this see Shaheed Mutahhari-s following works available on al-islam.org - a. Spiritual Discourses b. Perfect Man. http://www.oppression.org In the Name of Allah, the Most Beneficent, the Most Merciful On January 31st 2010, two American Muslims set out on a mission to help a community of hundreds in the earthquake torn country of Haiti. A mission which began solely as a humanitarian effort turns into a spiritual awakening for the two in a weeks span in a shattered land. Equipped with only a camcorder they documented their journey as they interviewed locals, engaged in heartbreaking conversations, and photographed a devastated Haiti, which is in a desperate need of help! "I heard they say in America Time is money? Here in Haiti Time is free It is impossible to find a job. If you dont have a job, its impossible to get married Brother in Miragoane, Haiti The documentary "Shia of Haiti" is being released now on the auspicious occasion of the birth of the 11th Imam, Imam Hasan al-Askari (as). The documentary will be screened in various cities around the world. New York - Chicago - Los Angeles - Toronto - London - Sydney The documentary will also be airing on satellite TV, please check your local listing for timings. Please distribute far and wide. The livelihood of thousands await your help! People of Michigan came out to protest against the oppression on Bahraini public by the king of Bahrain, Saudi and UAE forces. Many protesters questioning the policies of USA of supporting these dictators in the region. Protesters chanted slogans to show their support for the oppressed and solidarity with the uprising in Bahrain. The Song depicts the life in Gaza of a little boy who has everything a child needs, Loving parents, friends, a safe and nurturing environment. In light of the Jan 2009 crisis, his world is suddenly turned upside down when he loses his parents, his friends, his dreams, his childhood, his zest for life and most tragically, his innocence. Drawing strength from the lessons his mother taught him about Karbala he fights against oppression, defending Justice, humanity and peace. And in the end, he makes his mother\\\'s soul happy and pleases Allah by attaining the ranks of the martyrs. Dream of Imam Khomeini and his global vision coming true... the oppressed and the weak ones are waking up... we are approaching where the world is demanding true justice... These are actually the prophecies of Prophet Muhammad (s) and Ahlulbayt (a.s) coming true. The last nail in the coffin of this limitless global oppression is the reappearance of our Master, Imam Al-Mahdi (a.s), the awaited savior who will fill this earth with divine justice as it is filled with injustice today. May Allah hasten the reappearance of this awaited savior. Insha\'Allah.